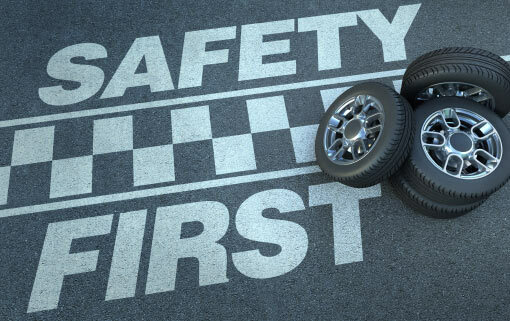 Check your vehicle’s roadworthiness, tyres, lights and brakes. Have a good night’s sleep the night before. Have a light meal before you leave. Don’t drink alcohol before or during the trip. Take someone for company. If weary, make conversation. Be considerate and patient with other road users. Let others know about your travel plans. Are your seatbelts in good condition and not worn? Do buckles work properly, and are they easily adjustable so they fit properly across your body? Have you installed inertia lap-sash safety belts for greater protection and ease while travelling? Lap belts are not as safe as lap-sash belts. Have you adjusted rear vision mirrors, including side mirrors? Are seats comfortably and safely adjusted, to minimise fatigue as well as injury in case of an accident? Are children safely seated with approved child restraints? Are packages, luggage and loose items safely stored behind seat backs, so then cannot fly forward in a collision? 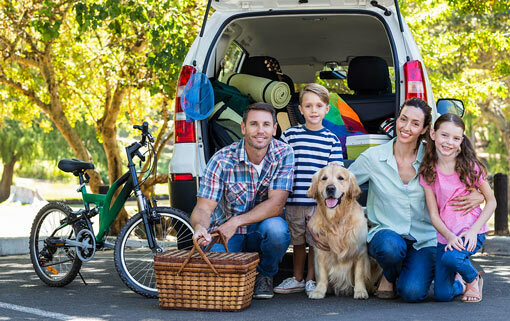 For station wagons, vans and hatchbacks, consider fitting an Australian Standard steel mesh cargo barrier behind the driver or passenger seat, particularly if you travel a lot with loose items on board. Remember, it is illegal and dangerous for anyone to travel behind a cargo barrier. Correct tyre inflation. Low pressure gives less grip on the road, and can lead to blowouts. Carry basic tools – at least to change a tyre. Carry enough water to top up the radiator if necessary. Plan your trips to avoid long hours of driving, particularly in darkness after a normal working day. Weariness is much more dangerous when you drive during your normal sleeping hours. Even minor ailments like headaches and colds can affect your ability to concentrate and react to the behaviour of other drivers. To delay fatigue, make sure the vehicle is well ventilated. Small drinks of tea, coffee and water help keep you alert, but avoid alcohol. Once fatigue has taken hold, stop the vehicle. Take a complete break from driving. 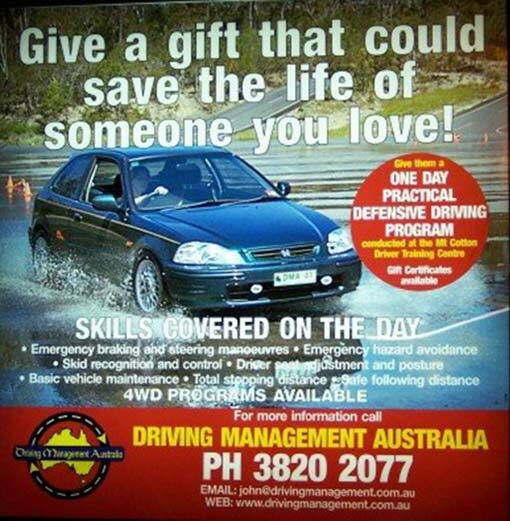 If there is no co-driver, have a sleep, with your vehicle safely parked and doors and windows safe from intruders. Vehicle wanders near the verge or centre line. Rash decisions due to impatience.